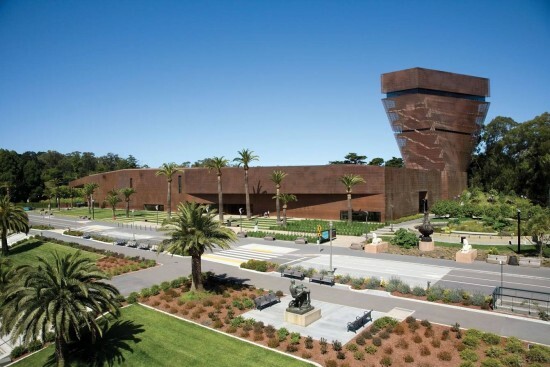 Founded in 1895 in Golden Gate Park, the de Young Museum is a landmark art museum that showcases the museum’s priceless collections of American art from the 17th through the 20th centuries, and art of the native Americas, Africa, and the Pacific. Normally admission is $15 for adults, but on the first Tuesday of every month, admission is free (special exhibition fees still apply). Muni riders with proof of public transit purchase receive a $2 discount. This discount is available in person at the time of purchase only, does not apply to internet sales, or previously purchased tickets, and cannot be combined with other offers.